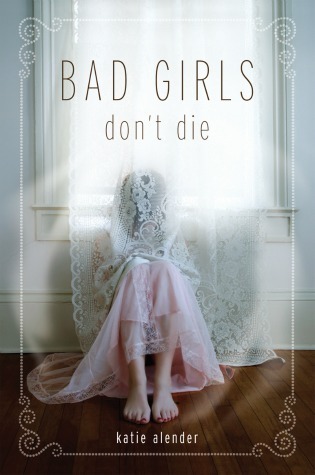 I had heard so much about Bad Girls Don’t Die but I was worried to read it as I have a very vivid imagination. I decided to just go for it and I’m so glad I did. I thoroughly enjoyed this story and I can’t wait to read more from the series. Bad Girls Don’t Die centres around Alexis and her younger sister Kasey. Alexis is a keen photographer and is often taking pictures at all times of night. Kasey is absolutely obsessed with dolls, which Alexis finds strange. What’s even stranger is that Kasey is getting stranger by the day. Her eyes are changing colour, she’s speaking in a really old fashioned way and she has an incredible amount of strength for a pre-teen! Alexis is convinced that her sister is possessed and she endeavours to find out who or what is behind the possession! I think readers will either love or hate Alexis. She’s quite rebellious, but at the same time she’s incredibly moany about her family life. She hates the fact that her mum works 24/7 and doesn’t pay much attention to her. Kasey is an incredible character. I found her cute at some points and terrifying at others. The storyline is action packed and so easy to read. It’s not too scary. I found it more of a creepy, thriller read. I just wanted to know what on earth was going on! I’m intrigued to see how this series progresses. An intriguing, chilling start to the series! I think if you hate dolls then this book is definitely not for you… It would terrify you! I’ve been meaning to read this series for a LONG time and always end up pushing it back for some reason. I was beyond excited to see a review for it in my feed because A. like I said I’ve been wanting to read it, but keep forgetting about it and B. I love seeing people review older titles. So many of the reviews in my feed are alllll the same books. Great review… you’ve definitely made me want to read this soon!! Thank you Michelle! I try to review older titles as well as newer titles and I love to see that people enjoy reading my reviews of older titles too. I enjoyed this book much more than I expected. I hope you like it too!